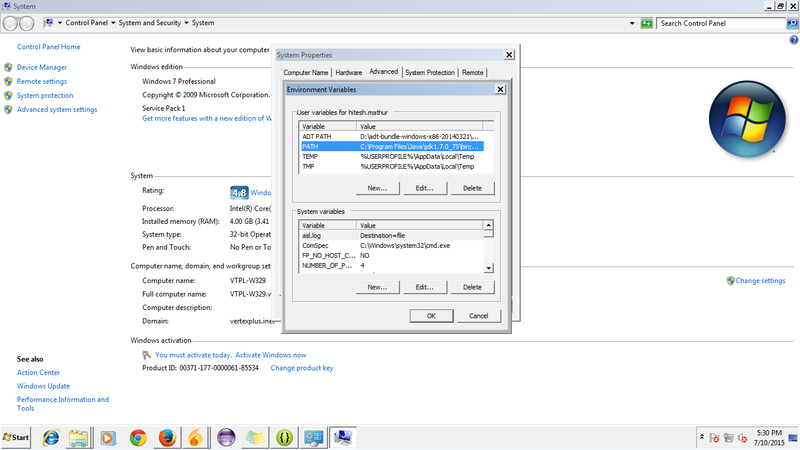 How to set the environment variables for Java in Windows (the classpath)? PATH : your-unique-entries;%JAVA_HOME%\bin (make sure that the longish your-unique-entries does not contain any other references to another Java installation folder. Notice that these environment variables are derived from the "root" environment variable JAVA_HOME. This makes it easy to update your environment variables when updating the JDK. Just point JAVA_HOME to the fresh installation. There is a blogpost explaining the rationale behind all these environment variables. Add an user environment variable JAVA_TOOL_OPTIONS with value -Dfile.encoding="UTF-8". This ensures that Java (and tools such as Maven) will run with a Charset.defaultCharset() of UTF-8 (instead of the default Windows-1252). This has saved a lot of headaches when wirking with my own code and that of others, which unfortunately often assume the (sane) default encoding UTF-8. When JDK is installed, it adds to the system environment variable Path an entry C:\ProgramData\Oracle\Java\javapath;. I anecdotally noticed that the links in that directory didn't get updated during an JDK installation update. So it's best to remove C:\ProgramData\Oracle\Java\javapath; from the Path system environment variable in order to have a consistent environment. Step 1 : Right Click on MyComputer and click on properties . NOTE Make sure u start with . ; in the Value so that it doesn't corrupt the other environment variables which is already set. Step 6 : Follow the Above step and edit the Path in System Variables add the following ;c:\Programfiles\Java\jdk-1.6\bin in the value column. 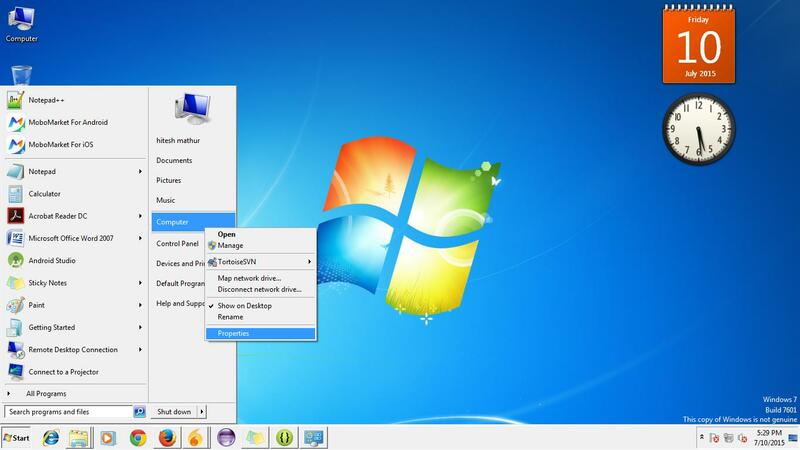 javac is not recognized as internal or external command, operable program or batch file. You can check that path is set if not error has been raised. It is important to note that these changes are only temporary from programs launched from this cmd. Click on "Advanced system settings"
The path is now set permanently. Give the new system variable the name JAVA_HOME and the value C:\Program Files\Java\jdk1.7.0_79 (depending on your JDK installation path it varies). Then select the Path system variable and click Edit.... Keep the variable name as Path, and append C:\Program Files\Java\jdk1.7.0_79\bin; or %JAVA_HOME%\bin; (both mean the same) to the variable value. Once you are done with above changes, try below steps. If you don't see similar results, restart the computer and try again. If it still doesn't work you may need to reinstall JDK. The JDK installation instructions explain exactly how to set the PATH, for different versions of Windows. Normally you should not set the CLASSPATH environment variable. If you leave it unset, Java will look in the current directory to find classes. You can use the -cp or -classpath command line switch with java or javac. I am going to explain here by pictures for Windows 7. 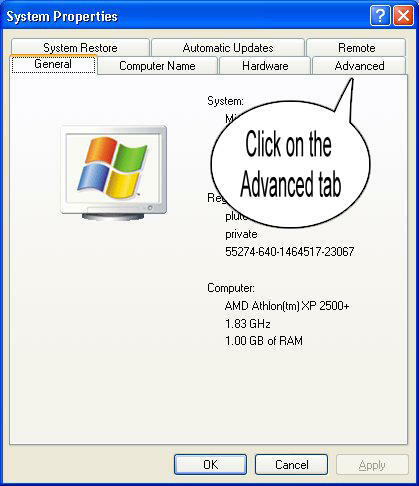 Step 2: Go to "Advance System Setting" and click on it. Step 5: Go to path and click on edit. In programming context you can execute SET command (SET classpath=c:\java) or Right click on your computer > properties > advanced > environment variables. 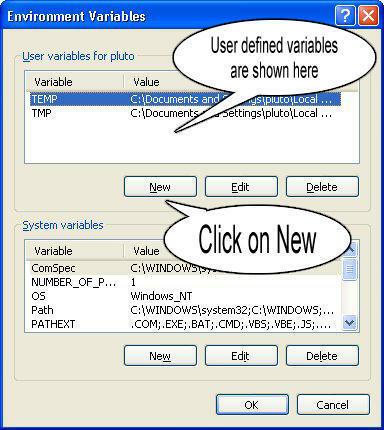 Right-click on My Computer, select Properties; Advanced; System Settings; Advanced; Environment Variables. Then find PATH in the second box and set the variable like in the picture below. Keep in mind that the %CLASSPATH% environment variable is ignored when you use java/javac in combination with one of the -cp, -classpath or -jar arguments. It is also ignored in an IDE like Netbeans/Eclipse/IntelliJ/etc. It is only been used when you use java/javac without any of the above mentioned arguments. In case of JAR files, the classpath is to be defined as class-path entry in the manifest.mf file. It can be defined semicolon separated and relative to the JAR file's root. In case of an IDE, you have the so-called 'build path' which is basically the classpath which is used at both compiletime and runtime. To add external libraries you usually drop the JAR file in a (either precreated by IDE or custom created) lib folder of the project which is added to the project's build path. Right click on 'My Computers' and open 'Properties'. In Windows Vista or Windows 7, go to "Advanced System Settings". Else go to next step. 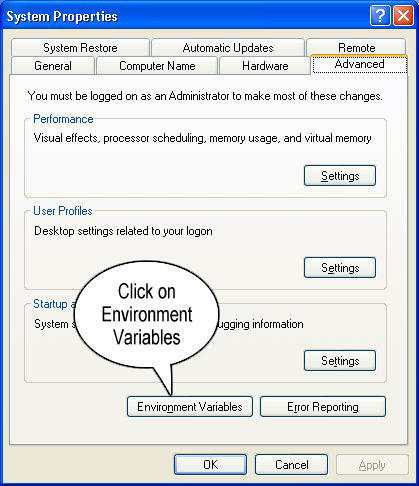 Go to 'Advanced Tab' and click on Environment Variables button. Select 'Path' under the list of 'System Variables', and press Edit and add C:\Program Files\java\jdk\bin after a semicolon. Now click on 'new' button under system variables and enter 'JAVA_HOME' as variable name and path to jdk home directory (ex. 'C:\Program Files\Java\jdk1.6.0_24' if you are installing java version 6. Directory name may change with diff. java versions) as variable_value. Eclipse does not start when I run the exe?